When you think of Denver, Colo., you likely conjure images of cowboys, the Mile High Stadium, Coors beer, and of course the Rocky Mountains. But as the location of one of the world’s best collections of mid-century modern design and decorative art? Hardly. OK, you know where this is headed. It is indeed! The last time I was in town, my pal Kelley Griffin said that I must, simply must visit “the Kirkland.” And so I did. And I was wowed. Wow! Here’s the little ditty I wrote about it, which appears today as a “Rave” in the Boston Globe Travel section (finally!). DENVER — You might want to wear your shades inside the Kirkland Museum of Fine & Decorative Art. Bright colors, crazy shapes, and offbeat objects — more than 3,300 of them — are packed into every conceivable cranny of the small downtown space. 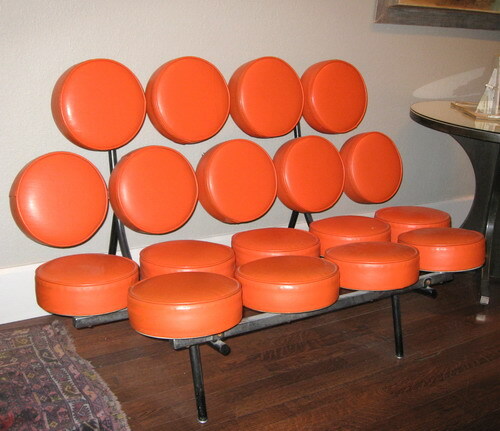 For starters, mid-century modern and Art Deco devotees will want to seek out the shiny chrome 1937 Electrolux vacuum, original-production 1956 “Marshmallow Sofa,” and the 1931 Jazz Bowl by Viktor Schreckengost, the museum’s American Art Deco masterpiece. 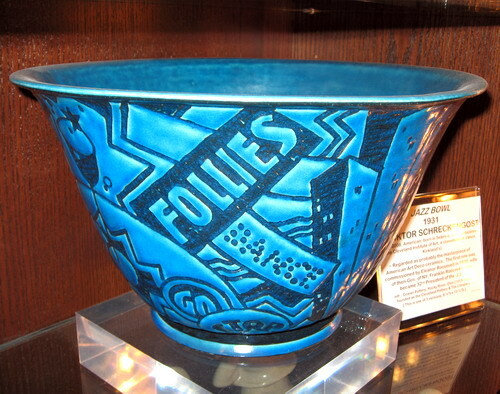 Decorative objects share space with paintings from 170 Colorado artists of the last century. The star among them is namesake Vance Kirkland (1904-81), a design collector and eccentric painter whose own art incorporated, at times, Surrealism, abstract expressionism, and dots. The museum was founded in 2003 by his heir, curator Hugh Grant. 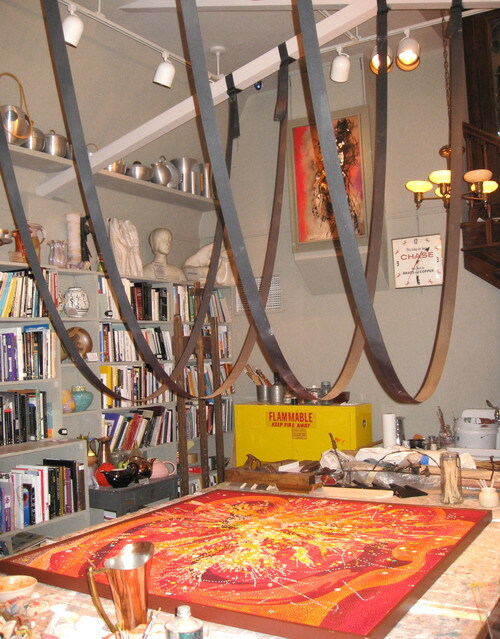 The building had been Kirkland’s studio, and his work space remains intact, including the straps he used to suspend himself above his horizontal canvases after he became frail. While Grant started the museum with the modest goal of preserving Kirkland’s legacy and displaying his beloved objects, it has turned into something much bigger: a world-renowned design showcase. 1311 Pearl St., 303-832-8576 , www.kirklandmuseum.org. Closed Monday. Adults $7; children under age 13 not admitted.